As the “Summer Powwow” nears, Lita Isaac often wakes up at 5 a.m. “Your min.. The importance of Language and Culture is urged wherever it can be seen or .. The HIV/AIDS workshops at AGS opened the door for a broader conversation ab..
NEWS AFN National Chief Visits Listuguj Issue 26, Aug. 2016 The Assembly o..
November 11th is a day to remember those who fought for our future and safe..
By creating a relaxing atmosphere, with snacks, coffee, and calming music, .. The Department of Fisheries and Oceans (DFO) wants Listuguj to reduce its e..
Trapper Metallic is the new Chief of Police for the Listuguj Police Departm.. Soon, the Gignu Group Home will be run entirely by the community. On Januar.. Almost immediately after hearing the news about their friend, Dylan Montgom..
Tanner Sage Barnaby, the son of Tara Barnaby and Robby Ouellette, has been ..
Look for a gap in research — that’s what students starting their master’s d..
Mi’gmaq history is a complicated term for Glenda Wysote-Labillois. “This is..
Derek Barnaby didn’t feel connected with his culture and traditions as a ch.. While attending school at St. Francis Xavier University, Mike Isaac Sr. was.. While in Listuguj, Don Burnstick sat down with Nujignua’tegeg’s..
Don Burnstick uses humour and performance to provide a holistic approach to..
More than 60 people gathered under the new LMG tent at Moffat landing for t..
Tanya Barnaby and Christine Metallic sat down with Nujignua’tegegR.. The first episode of Nujignua’tegeg’s month recap video. This e..
Joe Wilmot sat down with Aldric Martin to have a conversation entirely in M..
Driving around Listuguj (Busteed area) last week you could see a group of volunteers working the tipi poles, bringing firewood and preparing the site for the four-day ceremonies organized by Families First Support Services. Among the ceremonies there is the Sweat Lodge, a purification ceremony where participants enter a dome shaped lodge constructed of willow and covered with material to provide a semi-tight enclosure and complete darkness. 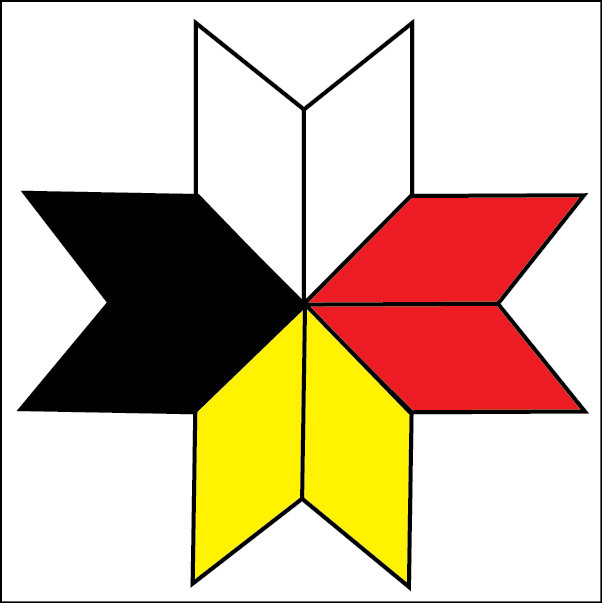 The Lodge represents the mother’s womb. When the ceremony starts the Elder pours water on the heated rocks (Grand Fathers) and participants pray for themselves, their families, their communities, they chant and take turns to speak. The duration of this ceremony varies depending of the number of participants, the Elder who leads it, and the reason for the Ceremony. Taking part in this sacred ceremony has different impacts on different people. Those participating for the first time usually feel a resurgence of strength and connection with their identity, and for some it’s the beginning of a journey of healing. 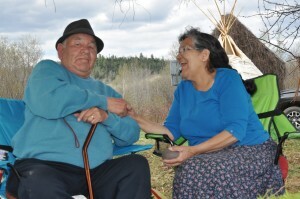 Elders Frank and Josie, married for over 50 years, travel across Canada and Mi’gmaqi carrying these teaching. Frank was around 40 years old when he decided to take the spiritual journey that changed his life for the better. Following Native spirituality is all about faith. All religions of the world have their ceremonies and protocols that guide social behaviors, practices, determine sacred places, and provide the worldview with teaching about human’s relationship with the world around, above and below. If in the past the practice of Indigenous spirituality were forbidden, outlawed and associated to devils or superstitious, nowadays there is a certain acceptance. In Mi’gmaqi, and across Canada, interest has been growing. There are some people who took part in native ceremonies here for the first time. Maybe at the Listuguj Pow Wow this year we will see more Sweat Lodges and we may see again the Sacred fire lit for all those who want to pray for their families, for themselves, and the communities. After all it’s about belief and traditions that are now available in Listuguj and in neighboring Mi’gmaq communities. 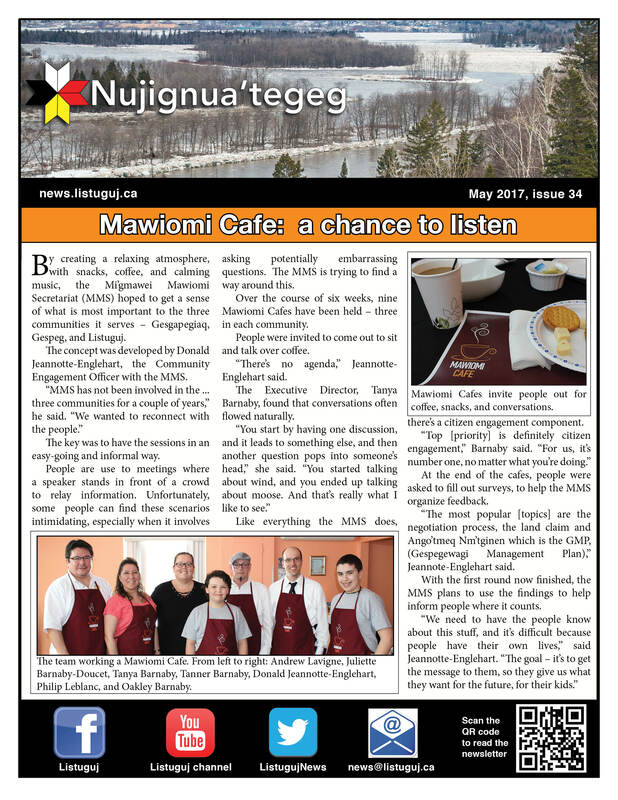 This is a multi media community newsletter for Listuguj First Nation. Find our printed issues within the community. We print twice a month. Copyright © 2015-2017 Nujignua'tegeg | All rights reserved.